20% Off Sephora ALL THE TIME? WHAAAAAT? I stumbled upon information today that may change everything. First of all, I had no idea that you can order from Sephora THROUGH JCPENNEY now. This means if you have a JCPenney gift card, you can go on their site and order makeup. Yup. There's mind blow number one. Now to save more, go to Raise.This is a gift card site that sells loads of discounted gift cards, most importantly JCPenney ones, for 20% off. 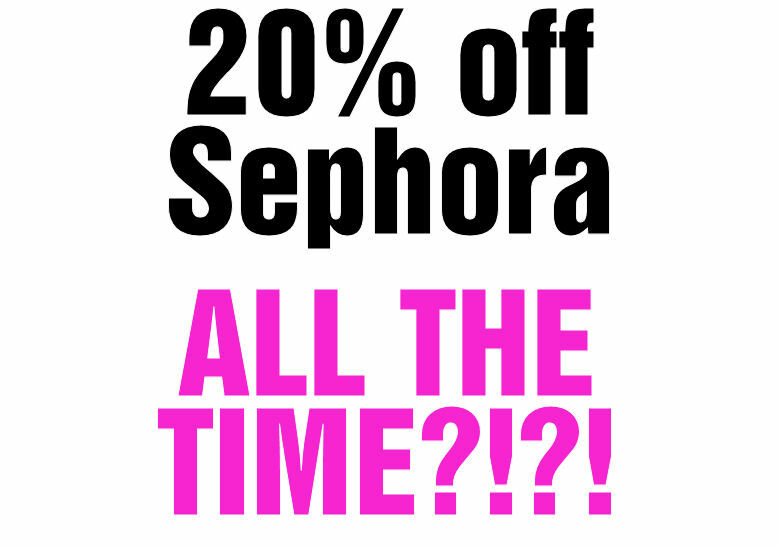 This means you can buy an e-gift card for JCPenney at up to 20% off, and use it on the JCPenney site (or Sephoras inside JCPenney) and save yourself 20% off on Sephora items. ALL. THE. TIME. Mind blowing, right? Yeah, I was amazed too and had to come run and post a blog about it. I hope this is helpful information to a lot of you because I found it pretty useful!!! (CLICK HERE) for the Raise site!